The premier first chapter book series, First Stepping Stone Books fills the gap between Step Into Reading and Stepping Stone Books. With a low reading level and outstanding authors, it's little wonder that the reviewers are raving over the series. From the front Cover There's a new boy in kindergarten, and guess what? He's the handsomest guy Junie B. has ever seen. She and Lucille and that Grace all want him for a boyfriend. 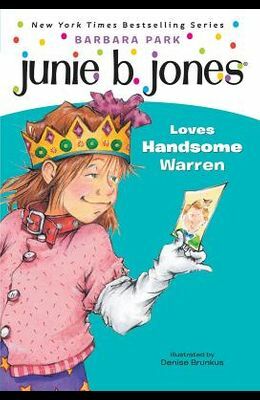 Only, he thinks Junie B. is a nutball. Just 'cause she couldn't stop laughing and rolling. So how is she supposed to get that boy to love her?